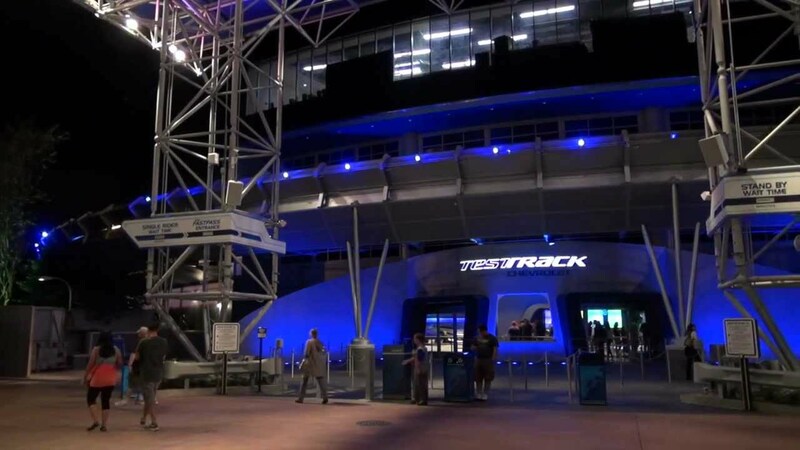 Nov 26, 2012 in "Test Track"
The Cast member previews of the new Test Track have been continuing during the past few days and we have another great review from WDWMAGIC Forum member rct247. Guest previews have not yet taken place. SPOILER WARNING AHEAD - The following review contains spoilers, stop reading now if you do not wish to know the details of the new Test Track. The queue is far less industrial and much more like a car dealership showroom. Walking into the building is somewhat similar, but there is a glass window in addition to the doors entering the building now. The Fastpass and Single Rider queues are on the left and look to have a pretty direct route to the merge point. The Standby line enters in and passes a very futuristic silver sports car. This futuristic car is much more realistic to today's sports cars versus the silver future car that was previously shown at the exit of the attraction. You then curve around and pass an exploaded view of another concept car. This one reminded me of an even smaller yellow smart car. It was described as some sort of electrical circuit car. Think Peoplemover or Wall-E, but a personal car concept. The queue then curves into the former soundproof room. In there a screen plays a video about the design process and features kids describing very outlandish visual personalities for what their future dream car would look like. Meanwhile, different images are projected onto a blank white car model in front of the screen. Next you pass a very small hallway with screens that describe the type of features you have at your fingertips once in the design room. From there, you are split off into circle pods like Mission Space or Sum of all Thrills. You watch a short video on the design process and then you enter the design room. The design room is full of kiosks with large touchscreen monitors. You are given a specific time limit to design your car. I will go into detail of that later. The design rooms seem to be in the general area of where the old queue passed the airbags, infant crash test dummy, and the road signs. After you have designed you car, you continue through the queue to the merge point which is where the old merge point seemed to be. The queue then curves around and into the loading area. Imagine the holding areas outside the old preshow rooms continuing around the backside of the preshow rooms and around the other side. The entire queue features lots of blue and slate colors. It has similar characteristics to the Star Tours 2.0 queue or Sum of All Thrills as well. I feel like the indoor queue is much shorter than the old queue. That combined with the design room capacity leaves me wondering how long wait times will be. The music playing in the queue reminded me a lot of the calm soothing music that played in the car showcase room at the end of the attraction. The design process is all touchscreen. The screens are very large and easy to use. They also feature multiple languages. Each design station can be used for a group of up to three people. Your group will receive an RFID card to upload your car to. 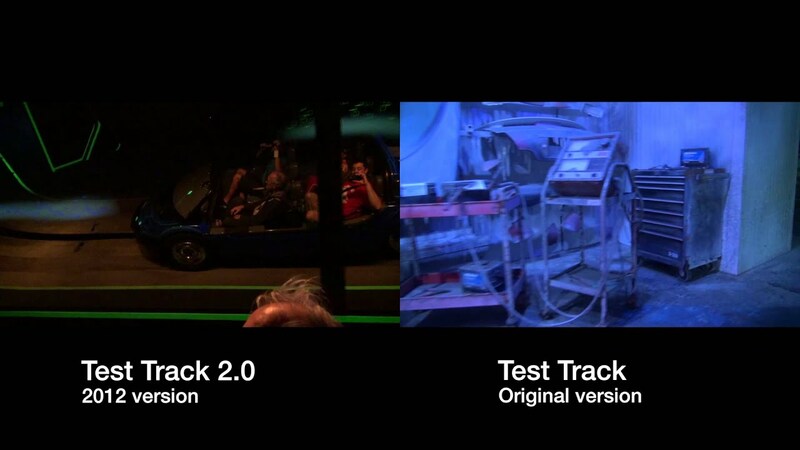 You will simply tap it to the large circular Test Track logo on design console. It is very similar to the Fastpass+ RFID readers. The first part of your design process is designing the shape of your car. From there you can modify your shape by optimizing it based on how you want it to perform in four given categories. After that you get to play around with different features like the color, wheels, spoilers, etc. The options allow for hundreds if not thousands of design possibilities. Some features increase performance or decrease performance. You also have a lot of power in the design process choosing from how big your front wheels and back wheels are. What features appear on the front, side, roof, and back of your car, etc. During this entire process, you are given a time limit which counts down as you work. Based on park attendance and demand, the time limit may vary, but even with the lowest amount, it allows you to play around with your design. While I felt eager to explore all the design options, I knew I couldn't try them all on in one sitting. I didn't necessarily feel rushed though. Overall, the design process was VERY VERY cool and just as fun as the ride if not the best part. Before the doors opened to send us on to the rest of the queue, people were taking a look around at other people's designs which really was very cool to me. In a way, I was connecting with other total strangers and riders. Fastpass and Single Rider will most likely not get to participate in the complete design process. The ride layout of course is exactly the same, but the overall experience is completely different. Yes, the concept art now makes sense and is very very accurate. It is also very Tron themed. There is a lot of use of computer graphics, black light effects, projections, lasers, and HD screens. The first incline up is more enclosed with walls on either side filled with projection and sound effects. At the top of the incline, you are welcomed and begin your first test. Here is where the block test was previously done, but now all blocks have been removed. You then proceed into a transition area where OnStar is uploaded onto your car for diagnostic readings or something to that effect. The next test is the former non-anti-lock brake test. Here is where you test weather/environment like rain and snow and where you skid out of control. The next test after the "reset" which is now an avalanche projection, you speed up to the turn featuring a lightning bolt. (See concept art). When you turn the corner you see a futuristic city model with lots of projection effects all over it and lightning in the background. Now you enter the former environmental chambers. The first one has a bunch of green scanning lights. (See concept art.) The next looks like some sort of aerodynamic wind test. 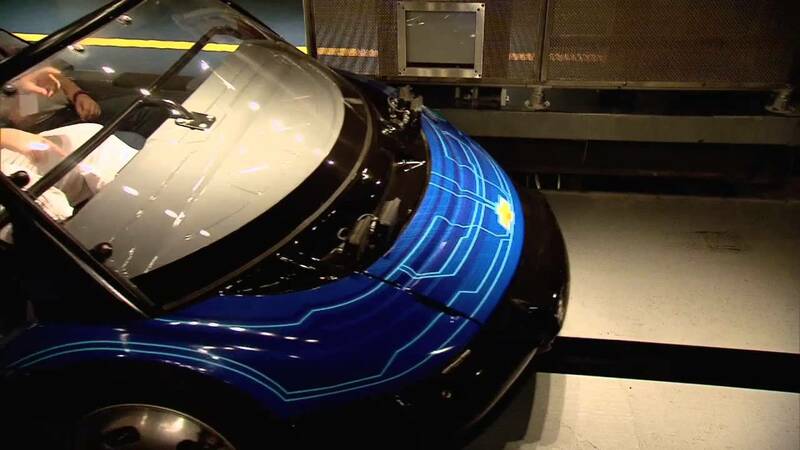 Finally the last room is where you car is scanned before it does the handling curves. As you exit, you follow the same hallway down to preview your on-ride photo. The Photopass scan/upload option is now gone, but there are kiosks set up to purchase and further preview your photo. Next you enter a room with a GIANT screen to see how your design scored. The projection features a track layout with dots representing cars traveling along it in real time. You simply take your RFID card up to the dozens of scanners to see your score. The projection also shows the top scoring cars designs of that day similar to Toy Story Midway Mania. The next room takes you into more interactive kiosks where you can put your car design in a commercial and even pick music to play in the video. This feature was currently not ready/not available. I was VERY VERY impressed. Test Track 2.0 looks amazing. The visuals are amazing and definitely brings Test Track into the 21st century and is worthy of being in the section of the part called FUTURE World. My favorite part was the design process. I enjoyed it more than the ride. There are so many possibilities. I hope there will be a way to save your car designs and send them to your email address of something. I would love to compare my designs each time I visit. They really did an amazing job in the 6 months they had. Many of you will not even recognized the queue area, but will see some similarities in the ride. Now there were some hiccups when I visited, but those are expected during a test & adjust session. With the abundance of RFID, touchscreens, and projection technologies, there is bound to be some troubles here and there. I just hope the general public finds everything easy to use too. I am also worried about the durability of these screens and areas of the queue, but I'm sure they have those of those things already. December 6th will be New Fantasyland's day to shine, but the hidden hit will end up being Test Track 2.0 as the best new addition to the parks. Very good job WDI!